Crafting With Craig: Magnetic storage sheets. Storage for crafting can be a pain sometimes. Depending on the shape and bulk of the packaging. Dies are not always that bad to store because most of them a relatively thin but again it's the packaging that can cause a problem. Another product that can be troublesome to store are rubber cling stamps. They come in so many differnt shapes and sizes and don't always sit well in boxes of drawers. The packaging can rip and tear and the stamps fall out and can get lost. This is where Stix2 A4 magnetic sheets come in great. 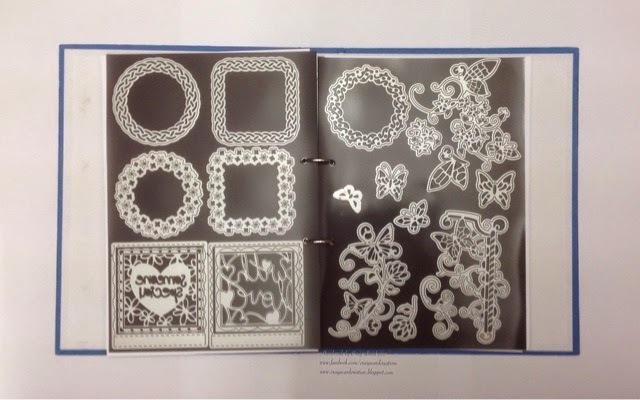 Not only are they perfect to store your dies on but on the reverse, the store you rubber cling stamps. They are such a great way to keep all your dies/stamps together, have them all organised in themes or brands but also they are a great way to clear space of all the packaging from the dies and stamps. 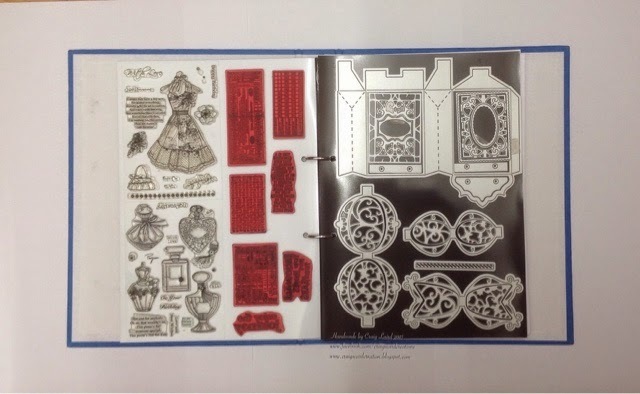 All you need is enough room to store 1 A4 ring binder or more if you have hundreds of dies. I have sorted and organised 1 folders worth of dies, yet I still have many many more to sort. I have a few brands of dies, Spellbinders, Tattered Lace, Cherry Lynn Tonic Studios all to name a few. Having worked for Tonic Studios for a short period of time, my main die collection consists of Tonic Studios dies. So my first folder I organised have most of my Tonic Studios dies. As you can see from the photos, the A4 magnetic sheets are perfect for holding your small or even your large dies. The die set I have on my first storage sheet is the box die which is a large die. The storage sheets not only hold the main outline die, It comfortably holds all the additional dies that come with the set. The mangnet in the sheets are very strong so my tip is that if you aren't storing rubber stamps on the back, place a piece of card Inbetween each magnetic sheet. If you don't, then the sheets can stick together. It's not a strong hold but it can happen. By placing the sheet of card Inbetween, it just enables each magnetic sheet to lift with ease without being stuck to the sheet beneath. I personally don't keep the outer packaging of the die with the coordinated die, I just store the packaging in a drawer. I would recommend storing the folders on their back as this stops any tension and weight pulling at the ring binder rings themself. If there is weight pulling at the rings, then as you can imagine, over a short period of time, the ring binder will buckle and pull the rings off the folder spine. The A4 Magnetic sheets really are the perfect way to store your die collection. 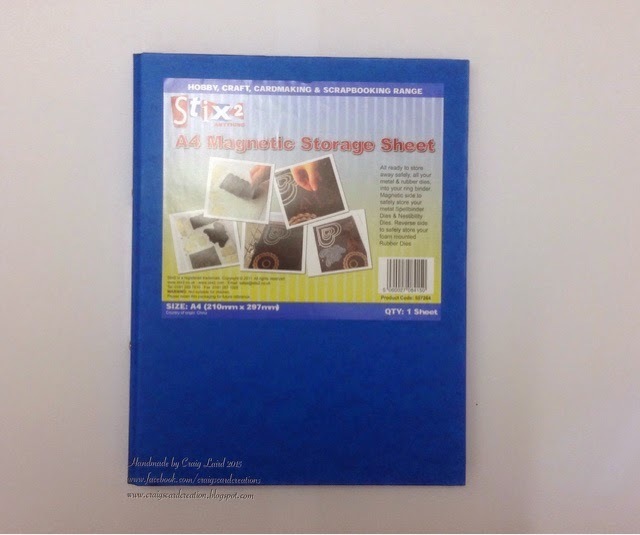 The following pictures are just the first few of my magnetic sheets and how I use them. The sheets come single in a pack and cost £2.99. The front of my folder and I have kept the front information sheets that you get in your pack of magnetic sheets and attached to the front. As writen above, my front magnetic sheet holds a large die including all the additional does that come with it. 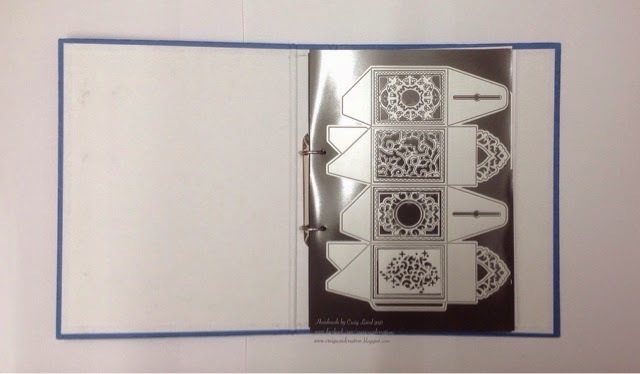 The photo shows the reverse of the magnetic sheet (left side) and how it holds your stamps. 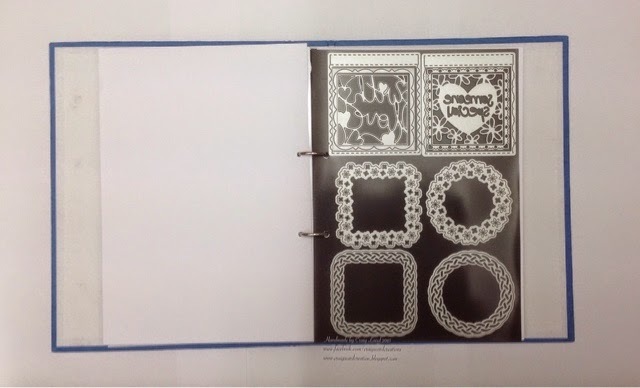 On the left it is holding 2 kinds of stamps - Hunkydory clear stamps and Tim Holts Grey backed stamps. Each of them has a great grip to hold the stamps. The right hand photo again shows more die storage. 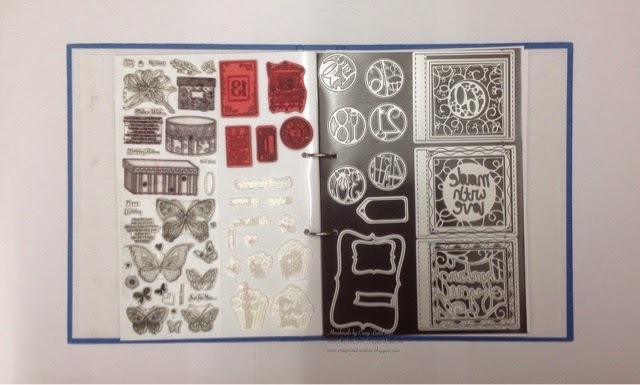 As the previous photo is shows how it holds both Hunkydory and Dawn Bibby clear stamps aswell as Tim Holtz Grey backed stamps. With dies on the reverse side. In this photo, it only shows the dies on the right hand side. The left hand side is actually a piece of white a4 card that has been punched and insert. As I have said at the top, if you don't store stamps on the reverse then the sheets can stick together slightly as the magnetic sheets such high quality. You can also turn your sheets around so that dies are facing each other as in the photo below and have the rubber stamps facing each other. It's personal preference. How ever, if you do do this, ,are sure you do place a piece of card inbetween each layer as it will stop the front of the dies from grinding on each other and wearing them down. Hi Craig, I was wondering how to store my dies,now I know, thanks to you. Can stamps be put on any magnetic sheets, or only certain brands? What box die is it that you have displayed on your sheet? Cheers and thankyou, Marilyn.